Now 32 years old, Sho Ueda remembers the thrill he felt as a nine-year-old when his father bought him his first model from the Mobile Suit Gundam anime series. With massive red-and-white shoulder protectors, powerful robotic legs and headgear reminiscent of a samurai warrior’s helmet, Ueda says he was hooked after building his first “Burning Gundam” model. A confessed otaku, or geek, with an abiding passion for animated science-fiction series, Ueda estimates he has now built about 50 models from the series and keeps many of them on a shelf in his bedroom. Ueda’s latest purchase is a model of the sword wielding Gerugugu robot warrior from the series, although he hasn’t started putting it together yet. And just like his first model, the Gerugugu kit has the logo of Bandai, the largest toymaker in Japan, on the box. Ueda says he has tried other brands, but they are never quite as good. Nearly 70 years after Bandai was founded, Yumiko Taguchi, a spokeswoman for the Tokyo-based company says the founder would be pleased to hear that the ethos he wanted to instil in his fledgling firm remains in place today. “Naoharu Yamashina originally named his company Bandai-ya, from the ancient phrase bandai fueki, which means ‘eternally unchanging’ and incorporates the aspiration to always create products that satisfy the souls of people of every age,” she says. “Yamashina wanted to bring joy to children who were growing up in the difficult times immediately after the war, which is why he started a toy business, and the principles that he insisted upon then remain at the heart of the company to this day,” she says. The eldest son of a rice retailer in the city of Kanazawa, Yamashina graduated from a business high school before serving in the second world war, during which he lost the sight in his right eye when he was injured by shrapnel from a hand grenade. After the end of the war, 29-year-old Yamashina was working for his brother-in-law’s textile wholesale company, an area that was struggling in the austere period shortly after Japan’s defeat. Casting around for an alternative way of making money, he realised that children had few toys to play with and that little effort was being made to fill this apparent gap in the market. Despite the risk – people had little money and food would always be the priority, with toys something of a luxury – he convinced his brother-in-law to turn over part of his factory’s production processes to toys and put him in charge. Over the next three years, he kept a careful eye on the market, assessed the toys that children wanted, and devised ways to manufacture them in sufficient quantities to meet demand, keep costs down and make the toys affordable. 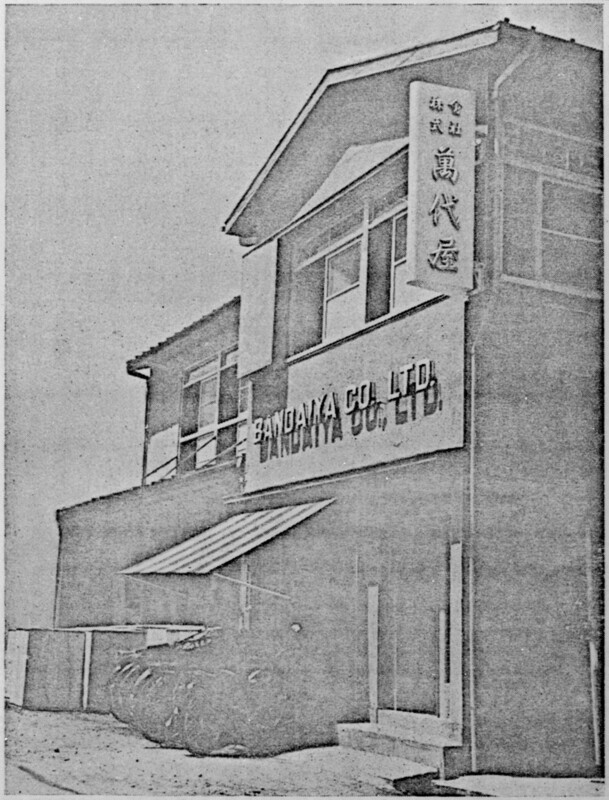 In 1950, Yamashina started his new company – which at the outset had six employees – and named it Bandai-ya, which was abbreviated in 1961 to Bandai. 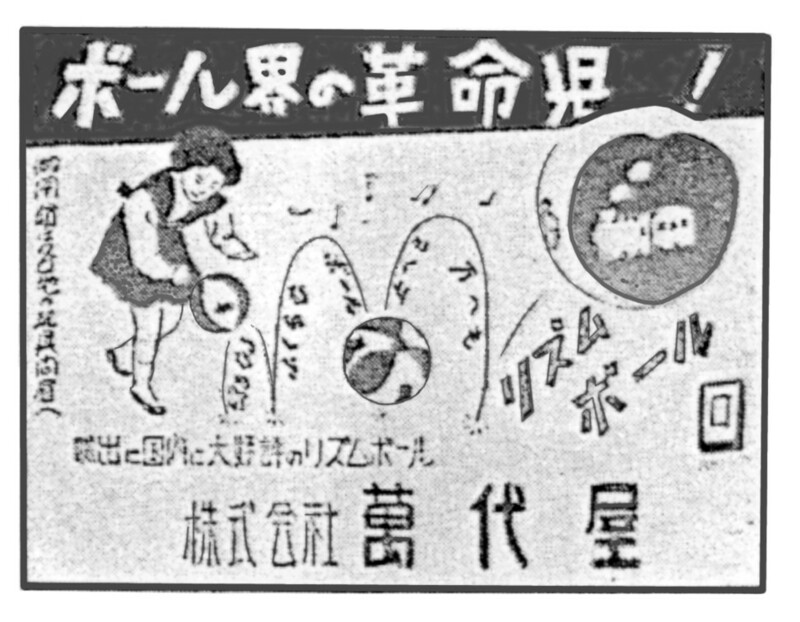 Bandai’s first original toy was a beach ball with a bell inside that was named the Rhythm Ball, although early versions suffered from quality problems. The company’s earliest metal toy was a model of an American B-26 bomber, which had been deployed against Japan during the war. After rectifying the initial problems with the Rhythm Ball, by the mid-1950s Bandai-ya was exporting inexpensive metal cars, aircraft and other simple toys to the US and other overseas markets – in the vanguard of the Japanese-made products that were about to arrive in the US. At home, austerity was beginning to fade and people had money in their pockets for little luxuries once again, so Bandai began to focus on the domestic market. The company underlined its commitment to products that could stand up to rough handling by kids, by introducing a quality-control system in 1950 and covering its toys with a warranty – the first example being a metal replica of the first-generation Toyota Crown. Expansion through the 1950s also saw the introduction of a research and development division, and a dedicated in-house transport department. Continued growth – in terms of the products released and the company’s reputation – enabled it to invest in its first television advert in 1958, under the slogan “The Red Box means a BC-guaranteed toy”, while a range of metal cars from around the world the following year boosted its international outlook and reach. A representative office opened in New York in 1963, and the firm’s racing car set was an immediate and huge commercial success. The release in 1963 of the first Astro Boy toy, based on the character from the popular manga and anime series, heralded a new business opportunity for the company of collaborations with television companies. Over the following decades, Bandai manufactured toys with ties to the Kamen Rider TV character, the Space Battleship Yamato programme, Ultraman, the Power Rangers and the Gundam series. “We went through the biggest growth phase in late 1971, in large part due to the release of the ‘Kamen Rider Belt’ toy, and again in July 1980 with the release of the ‘Gundam’ model figures,” Taguchi says. Domestic expansion continued with alliances with foreign toymakers, notably Tonka of the US, and the creation of a number of specialist subsidiaries such as Bandai Models and Popy, which focused on manufacturing character toys. Bandai America began operations in 1978 as the local sales and marketing operation. 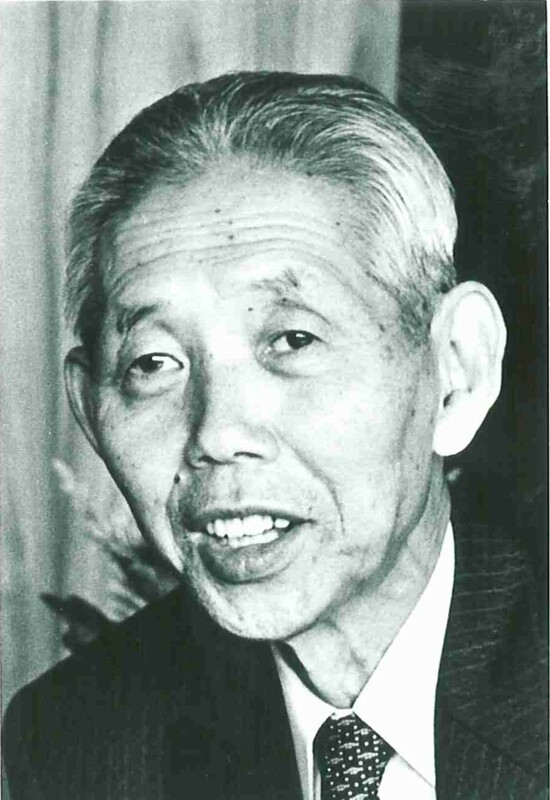 Yamashina handed over the presidency of the company to his son, Makoto, in May 1980 and took up the post of chairman of the board. He surrendered that title to become an adviser to the board in 1987, three years after he had donated US$3.3 million to set up the Japan toy Library Foundation, which provides toys to handicapped children. The arrival of a new generation at the helm led to some significant changes, including a policy of hiring young staff with new ideas, while the new management also did away with the traditional supply system of using intermediaries to instead deal directly with retailers. By the start of the 1980s, the Japanese economic boom was in full swing and Bandai – under the new corporate slogan “Dreams and Creation” – branched out into the apparel market, lifestyle goods and card games, as well as video games. By the middle of the decade, Bandai had cemented its position as Japan’s largest toy company, enhancing that reputation with the launch of such globally recognisable launches as 1996’s Tamagotchi – which sold 40 million units around the world and was so popular that production could not keep up with demand. An enhanced version, released in 2004, was also popular. Even though he had largely relinquished control of the company, Yamashina was reportedly heartbroken to see the organisation he had created on the verge of being swallowed up in a proposed merger in January 1997 with Sega Enterprises, the video game manufacturer. Middle managers throughout the company were similarly aghast at the suggestion and internal opposition forced Makoto to call off the deal and step down as president. The following month, his father collapsed from a stroke at a ranch in Hokkaido, where he often spent the summer. He died in October that year at the age of 79. The company finally merged in 2005 with Namco, which develops video games and operates amusement facilities across Japan, with Bandai now a part of Bandai Namco Holdings. The brand continued to diversify with the launch of the Premium Bandai internet shopping site in 2009, the opening of the Gundam Cafe in Tokyo’s Akihabara district, and more alliances with television series, such as the release in 2014 of a range of watches linked to the Yo-kai Watch series. Today, the company has units in Hong Kong, Shenzhen, Taiwan, South Korea and elsewhere in Asia, three European units, in Britain, France and Spain, as well as divisions in the US and Mexico. In April 2018, the company announced a new midterm vision – titled “Break out of the box! Wow the world!” – under which it plans to launch intellectual properties (IPs) worldwide, “acquiring, creating, nurturing and strengthening local IPs, developing original products and accelerating the localisation process”. In tandem with that expansion, the company says it plans to expand its reach through the internet and other e-commerce strategies. A key part of that expansion will be in China, the company confirmed, in a “full-scale entry” into the largest market in Asia. Given that 85 per cent of Bandai’s toys are now manufactured in China and a supply chain is already firmly established, it seems likely that the company is about to embark on another major round of expansion.